Temperatures are finally falling across central Pennsylvania and now is the time to prep your home for the winter ahead. Did you know that home winterization can reduce your energy bills and your risk of a house fire? While there are numerous sources of advice for reducing your home energy bills, we will focus our winterization discussion on safety and fire prevention. Since we already covered space heater safety in depth in a previous post, we will discuss prepping some other heat source options available to homeowners. The best way to prep your fireplace for winter is to hire a professional chimney sweep to inspect and clean your fireplace. A chimney sweep will remove any creosote, a flammable byproduct of burning wood, as well as check for any potential hazards, such as cracks in your flue. Once your chimney has been winterized, cleaned and inspected, there are routine maintenance steps you can take to ensure your family’s safety throughout the winter. Just as with fireplaces, hiring a professional to inspect your furnace is the best option when prepping for winter. However, if you choose to prep your own furnace, here are some tips. 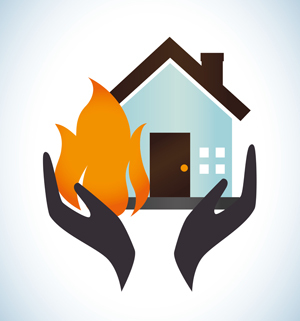 Prepping your heat source is not the only way to prevent a home fire in the winter. There are other steps you can take to further lower your risk of a fire. Remember, we’re here to help in times of distress when you or your loved ones are injured. Contact KBG 24/7 for a free consultation. We’ll get you the Results You Deserve®.